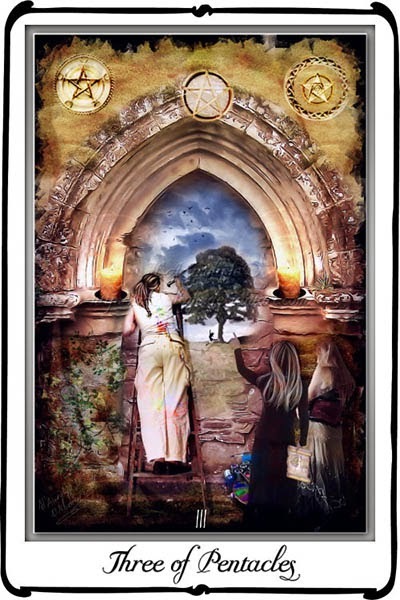 The Three of Pentacles card suggests that my power today lies in practice. My life is a work of art in progress and my purpose is worthy of appreciation, attention, and effort. I am validated by doing my best to fulfill my intention and I take pride in my work. I am empowered by a vested interest and my asset is attention to detail.